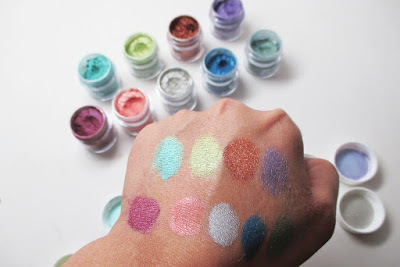 I love when at first swatch you find makeup items that just make your heart skip a beat. I love color, sparkle and shine and Sugarpill's newest shades of Sparkling Loose Eyeshadows do not disappoint. 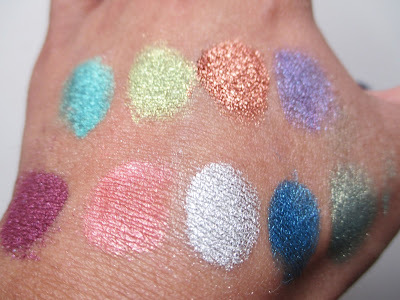 Check out the pics and swatches! 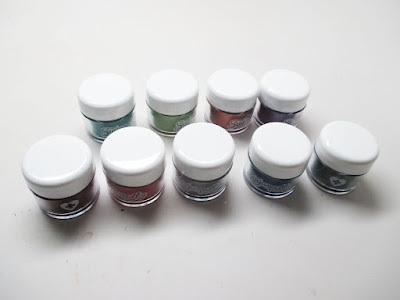 I received 9 shades of their loose eyeshadows to test out. I love how these shades are all bright, intense colors with mixed in glitter, sparkling specks to add extra shine. Sugarpill always gives you a generous amount of product in each jar. 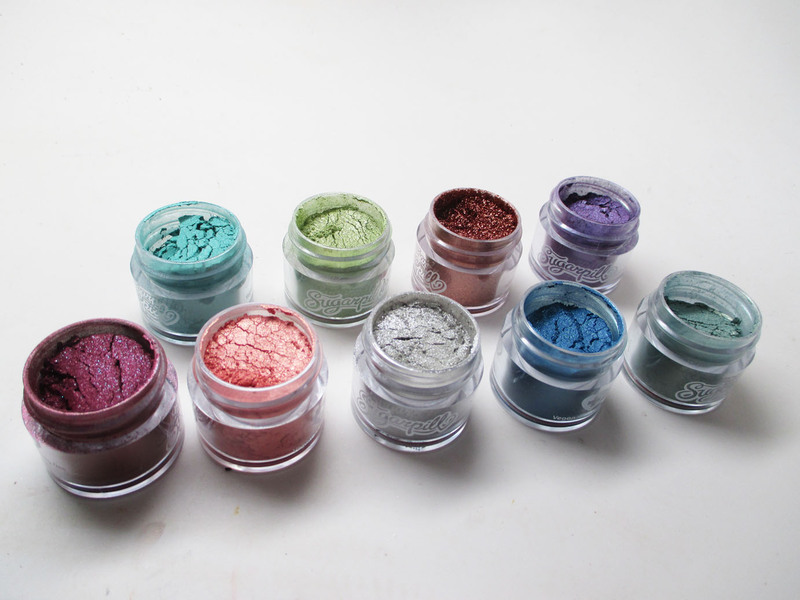 The pigment is packed to the top with 4 grams for $13. Aren't these colors gorgeous? Though bright, I definitely think these are super wearable shades as well. 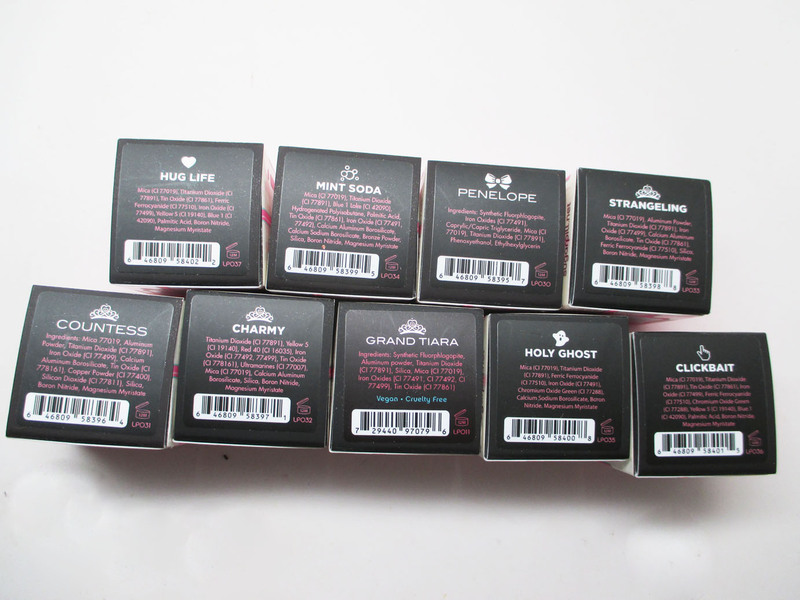 These swatches are applied dry without primer. Apply them wet and you'll get an even more intense metallic shine. 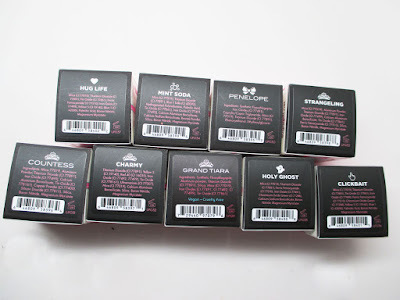 I've already tested out Charmy (bottom row, second from the left) as well as Grand Tiara (gorgeous silver). 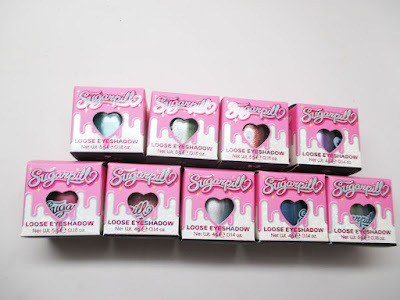 I have a FOTD featuring these soon as well as an upcoming tutorial. Stay tuned! 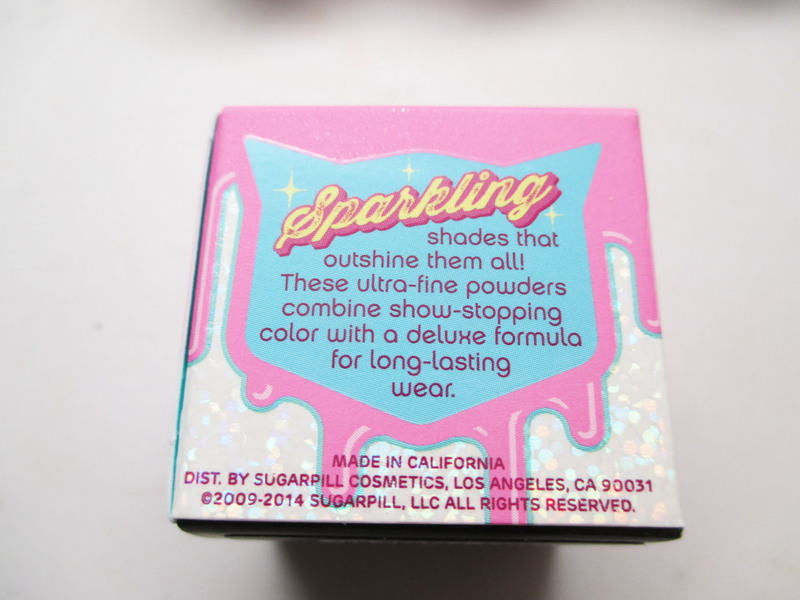 FTC Disclosure: Products sponsored for review. I am not paid to make this post and am not affiliated with the company. These are my honest thoughts and opinions.